Yes, you can start your journey to Sisterlocks with fine hair textures. However, the outcome of your Sisterlocks with fine hair may be slightly different than what you may have seen or envisioned. 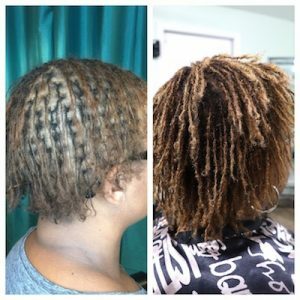 I’m going to share a brief transformation video of a recent salon guest that started Sisterlocks with fine hair to give you a little insight into what you could expect. There are 3 things that generally are present when starting Sisterlocks with fine hair textures— your scalp being visible, battles with slippage, and fuller hair! When starting Sisterlocks, on any texture of hair, in the beginning months you’ll see a lot of your scalp. However when starting Sisterlocks with fine hair your scalp will be even more visible. For some, this is an issue and for others it is not, but what’s important to understand is that after every retightening you’ll see your scalp. There is no way around this fact, especially not retightening less to give your hair the “appearance” of fullness. I encourage you to think critically about whether you’re comfortable with the “scalpiness” of Sisterlocks. Did you know that when you experience slippage with Sisterlocks is it the hair unraveling at the roots?! In Sisterlocks with fine hair textures this occurrence of slippage is a common issue because the hairs are so small that they have to work a little harder to intertwine and begin the locking process. So this is definitely where patience comes into play; so that you’ll experience one of the most rewarding benefits of Sisterlocks. Overtime when your hair is left alone, with minimal styling and low manipulation, it will thrive. I’ve seen many women start Sisterlocks with fine hair and become amazed by the growth and fullness of their hair as the months progress. Hopefully this article was helpful in your decision to start your journey to Sisterlocks, even with fine hair. 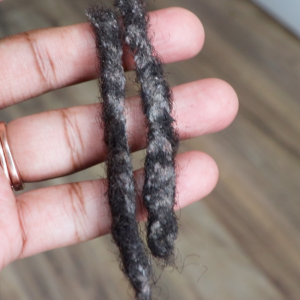 If you’re still debating, I would highly recommended checking out “What To Consider Before Starting Sisterlocks” or consider microlocs that are similar to Sisterlocks for your new journey. I am considering sister locs and I do have fine soft textured hair. Because i may not be okay with the scalpiness, will it be okay to wear caps during this time? And also is it okay to swim during this time? I would not suggest wearing caps or wigs often because this often leads to slippage and can slow down the locking process. 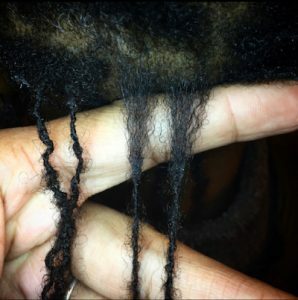 You definitely are able to swim in the beginning stages of locs, you just have to do the bundling technique before getting in the water and preferably wear a swim cap. 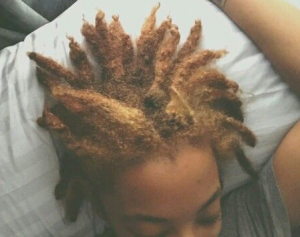 I share more swim related tips in this article, “Products for Swimming With Locs“. Hi Engrid! Make sure you visit several Sisterlocks Consultants to feel the vibe of the person installing your locs and be sure that you can find someone in your budget so that your Sisterlocks are a blessing, not a burden. Best of luck! Got very short hair can I start with the sister locks? Hi Judith! You’ll need at least 3-4 inches of loose natural hair (not chemical processed) to start Sisterlocks. Thanks for these insights. I’ve been wearing wigs for about 2 years – just for work (possibly 12hrs a day) and was planning to continue doing so during the locking process. I appreciate that there’s likely to be slippage however my concern is more on the visible scalp which I can’t stand. I’d consider being under a wig for even 1 year if that’s what it’d take. My question is would this impact on the end result ie the eve ness of the locks, growth etc. I have fine hair which seems to be err so slowly thickening possibly because I’ve left it alone ? What happens after the locking? What does maintenance entail? Im very new to this hence very ignorant but love love love the SLs. Hi Njeri! I definitely do NOT believe that Sisterlocks are for you. Sounds like you did not get a thorough consultation before starting them. 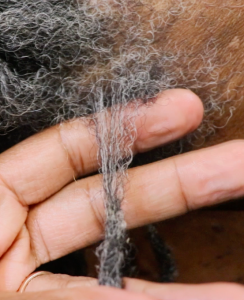 You will ALWAYS see scalp after retightening them (every 6-8 weeks) and having them under a wig will cause slippage, slow down the locking process, and change the fullness and consistency of locs. 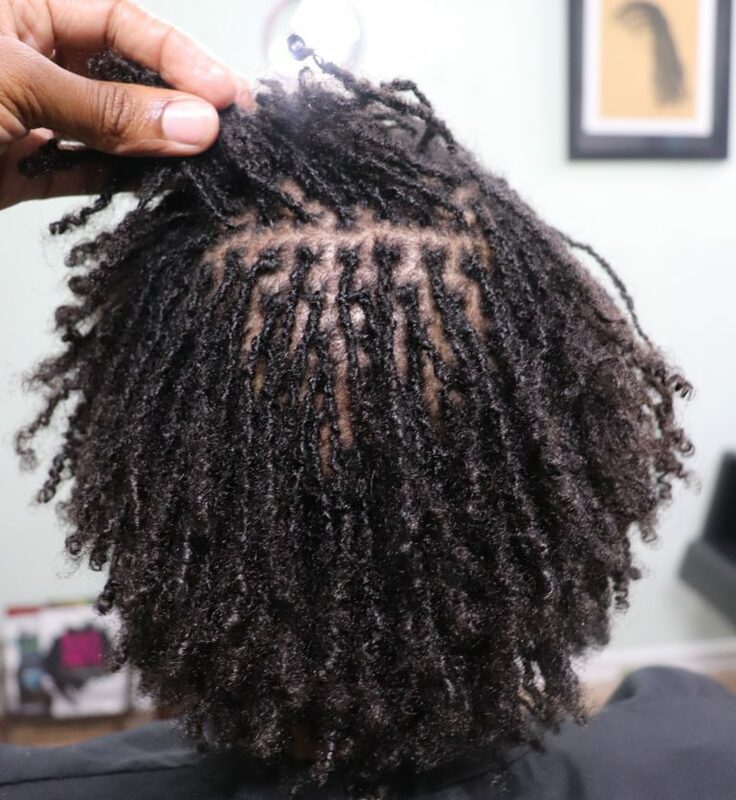 I would suggest that you either embrace the locking process or wear your hair loose and in protective stages until you are ready to start because currently it does not sound like locs are ideal for you.